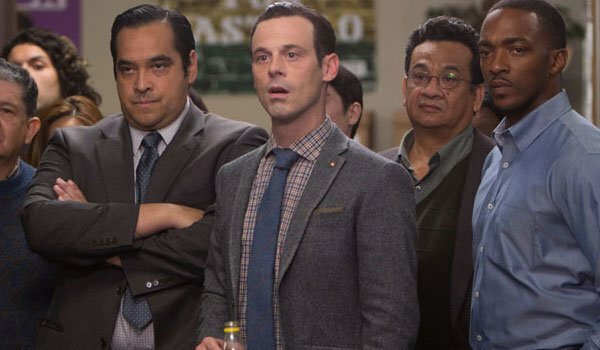 Scoot McNairy has spent the last few years establishing himself as a gifted actor, regularly appearing in a wide variety of different projects and displaying an ability to play a wide variety of roles. This is part of the reason why we’re so curious about the part that he’s taking on in Zack Snyder’s Batman v Superman: Dawn of Justice, as his skills would allow him to play any number of different characters from the world of DC Comics. Now that a few more clues are on the table, however, we’ve started to narrow down exactly what kind of role we will get to see him in. We already know that Zack Snyder will be playing with flashbacks a little in Batman v Superman: Dawn of Justice - as the trailer depicts the murder of Thomas and Martha Wayne - so it’s not unreasonable to believe that perhaps Scoot McNairy plays a character who winds up playing a significant role in the past lives of one of the movie’s central figures. The tricky part of this theory is that linking McNairy’s character to any of the main stars – be it Superman, Batman, Wonder Woman or even Lex Luthor – means that the character really could exist in multiple different eras. If he is somehow related to the Man of Steel or the Dark Knight, there’s a possibility that his scenes could be set in the very recent past, but if he has a history with the Amazon Princess that means he could have lived out his adult years during World War II. Regardless of who he is connected to, however, the larger point is that a flashback featuring the actor could be both very plot specific and keep the character locked in time and away from the future of the DC Cinematic Universe. 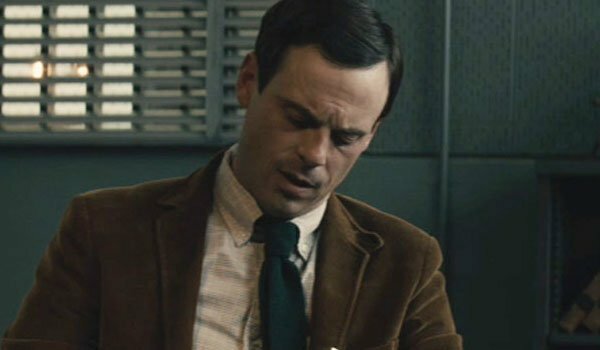 It’s unfortunate to think about simply on a spoiler level, but there could very well be a very simple explanation as to why Scoot McNairy didn’t have to sign a multi-picture deal: his character doesn’t actually make it out of Batman v Superman: Dawn of Justice alive. He might be playing someone from the comics that fans will be overjoyed to see make an appearance, but he may not survive the action of the feature – which is why the production didn’t need to lock him in for multiple shows. The green screen socks that Scoot McNairy was spotted wearing on the set of the blockbuster may be a hint in this direction. It’s not exactly outside the realm of possibility that his character starts the movie with legs, but that events occur in the film wind up causing those legs to be ripped from his body. This would be a pretty serious injury, obviously, and could be what ends his life. Given the actor’s notoriety and talent, there door is still open for McNairy to be playing a significant part in the narrative, but he just may not survive the whole thing. 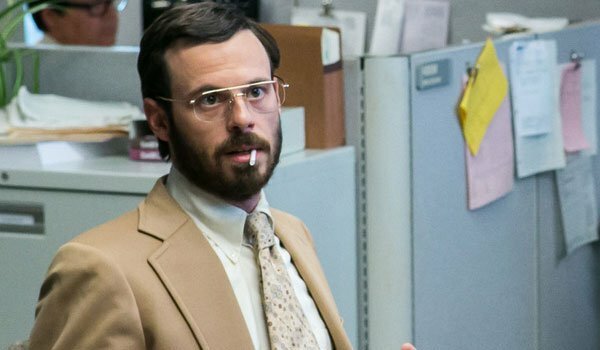 Thinking specifically about Scoot McNairy’s comments about playing a character "that lends itself to the story being told" has got me wondering if he may be portraying some kind of "expert" in Batman v Superman: Dawn of Justice - someone who has crucial information necessary for a plot development to unfold. This kind of part often requires the use of a character actor who can sell their shtick and distract the audience from thinking about how the actor is just there to provide exposition in dialogue. We just saw McNairy do this kind of work opposite Ben Affleck in David Fincher’s Gone Girl last year, so maybe it’s similar work for him in the comic book movie. Given that we really don’t know any details about Batman v Superman: Dawn of Justice’s plot beyond Bats being pissed at Supes for destroying Metropolis, there’s any number of ways an exposition-based character could fit in. He could be a source that Clark Kent hunts down for information. He could be an executive who reveals some wonky information to Bruce Wayne about things going down at Lex Corp. Or he could be a scientist helping Lex Luthor discover the secrets of Kryptonite. Hopefully we’ll eventually see him pop up in a trailer and we’ll get more clues to go on.